In East Baton Rouge Parish, Louisiana, middle-class and wealthy neighborhoods want an educational divorce from a neighboring community where four out of 10 families live in poverty. Saying they want local control, they’re trying to leave the 42,000-pupil public-education system. They envision their own district funded by property taxes from their higher-value homes, which would take money from schools in poorer parts of state-capital Baton Rouge, home of Louisiana State University. They even want their own city. Similar efforts have surfaced in the past two years in Georgia, Alabama, Texas and Tennessee, some of them succeeding as the end of court-ordered desegregation removed legal barriers. The result may be a concentration of poverty and low achievement. A 2012 report by ACT, the Iowa-based testing organization, found only 10 percent of low-income students met college benchmarks in all subjects, less than half the average. U.S. educational funding varies by state, often relying heavily on local taxes. The South, once notorious for segregated schools, by 2011 had the nation’s second-narrowest funding disparity among districts, according to a study by the Federal Education Budget Project, a Washington-based research organization that is an offshoot of the nonpartisan New America Foundation. Louisiana, however, scored worst in the nation, according to the study. A December report by three LSU economics professors found that breaking up the East Baton Rouge Parish school system would depress total per-pupil spending to $8,870 from $9,635. It would rise to $11,686 in the breakaway district. Eighty percent of the current district’s students are black, and 82 percent poor enough to qualify for free or reduced school meals. Nyman and other district boosters say a split would set a dire precedent. Backers of the split, whose website is called Local Schools for Local Children, say the district has been failing for at least a dozen years, with some schools performing so poorly that the state took them over. In the 2011-2012 school year, six of 10 students attended a school ranked failing or almost failing by the state and the drop-out rate was 20 percent, according to Baton Rouge Area Chamber, a business group. About 30 percent of children within district lines were in private schools in 2009, according to Tulane University’s Cowen Institute for Public Education Initiatives. For more video from NBC News visit http://msnbc.com. Meet the Press rebroadcasts 1963 interview with Martin Luther King Jr.
Women in Mazar-e-Sharif have straddled the worlds between Western freedoms and conservative traditions for a decade. As the Taliban gains strength and the West pulls out, Afghanistan’s most liberal city is being plagued by a rash of suicides. Fareba Gul decided to die in a burqa. She put on the traditional gown, which she usually didn’t wear, and drove to the Blue Mosque. There, at the holiest place in the northern Afghan city of Mazar-e-Sharif, she swallowed malathion, an insecticide. She then ran over to the square, where hundreds of white doves were waiting to be fed by visitors. When she was surrounded by the birds, the cramps set in. “Fareba was lying on the ground when I arrived, and people were standing all around her,” says her uncle Faiz Mohammed, whom she had called before taking the poison. “She was screaming for help.” He lifted up his niece, carried her to a taxi and took her to a hospital. Foam was pouring from her mouth, and she was slipping in and out of consciousness. One hour later, 21-year-old Fareba Gul was dead. She died on the same day, and in the same hospital, as her 16-year-old sister Nabila. Behind the tragedy lay a harmless love affair, relatives say. The sisters had been fighting, and Nabila had taken things too far: She had fallen in love. Fareba, the relatives say, got angry, calling Nabila’s behavior “indecent” and demanding that she end the affair. Both got very upset and were screaming at each other. Their mother entered the room and slapped Nabila. Then, Nabila reportedly took the poison from her father’s cabinet and swallowed it in her room. A few hours later, Fareba took the same pills. “She felt guilty,” says her uncle. The sisters’ double suicide hangs over the city like a dark shadow. Mazar-e-Sharif is widely viewed as one of the most peaceful and liberal cities in Afghanistan. But could this be an omen of what lies ahead for the country once Western troops start withdrawing in the near future? Living in Mazar-e-Sharif means living in relative security. But now more and more women are starting to hurt themselves here, as well. It leaves one baffled, but it is still no coincidence. More than anywhere else in Afghanistan, women in Mazar-e-Sharif are torn between tradition and their newly won freedom, between family expectations and their own sense of self. They are trapped in a society that is at once deeply conservative but also offers just enough freedom for women to discover a modern, Westernized lifestyle. Girls can go to school, women can work, and both can surf the Web and watch cable TV. But forced marriages, domestic violence and many limitations continue to exist for many of them — and are all-the-more difficult to bear. Under these circumstances, choosing how and when to die can become a form of self-determination. Zarghana, 28, has survived two suicide attempts. She enjoyed success working for a human rights organization as a teacher, but then her husband abandoned her with their seven children and she lost her job. Her father refuses to let her divorce her husband, a stepbrother whom she was forced to marry at a young age. When asked about the women killing themselves, the city’s police chief claims that such things “only happen in Heart province or in remote mountain villages.” Women’s rights organizations point to poverty and a lack of education as the main factors behind the suicides. Marzia gets up, walks over to the cupboard and takes a photo from a glass tray. The picture shows a smiling little girl with pigtails and freckles. “She was so kind and helpful,” she says. Then her voice breaks. The sisters’ suicide is particularly unsettling because the girls led privileged lives in this long-suffering country. They watched Bollywood films, had mobile phones and Internet access. Along with jeans and makeup, they wore headscarves but no burqas. They didn’t have to hide from the world. And they lived in a city that does not force the well-off to barricade themselves behind concrete walls. A powerful governor controls life in this part of Afghanistan — so effectively, in fact, that residents hardly have to fear death from a bomb attack. Foreign aid workers are permitted to move around freely. Visitors barely see any weapons in the streets. Instead, they can watch women in the bazaars trying on shoes, their eyelids shaded with the traditional cosmetic kajal and their hair lightly covered by a headscarf. Indeed, in theory, Mazar-e-Sharif is a place of hope. But at least in the regional hospital’s department of internal medicine, the city is a place of despair. “Fridays are the worst,” says Dr. Khaled Basharmal as he takes out a notebook. “Eight attempted suicides on a single day.” He reads off the names of the most recent patients — Raihana, Roya, Shukuria, Terena, Rahima. There are also the names of two young men. “It’s a disaster. Since late March, we’ve had more than 200 cases,” Basharmal says. The sisters, Fareba and Nabila Gul, were among his patients as well. Basharmal is sweating underneath his white coat, and he is exhausted. It’s noon now, and he was forced to work another shift that lasted through the night. No official statistics are kept, and no one can confirm his figures. Nevertheless, Afghanistan is believed to be one of the few countries in the world that has more women taking their lives than men. A recent study concluded that five out of every 100,000 women are committing suicide each year. But the real number is likely to be much higher, especially in rural areas far away from the big cities. More than 1.8 million women in Afghanistan, which has an estimated population of 31 million, are said to be suffering from depression. More than anywhere else in Afghanistan, women in Mazar-e-Sharif are torn between tradition and their newly won freedom, between family expectations and their own sense of self. They are trapped in a society that is at once deeply conservative but also offers just enough freedom for women to discover a modern, Westernized lifestyle. Girls can go to school, women can work, and both can surf the Web and watch cable TV. 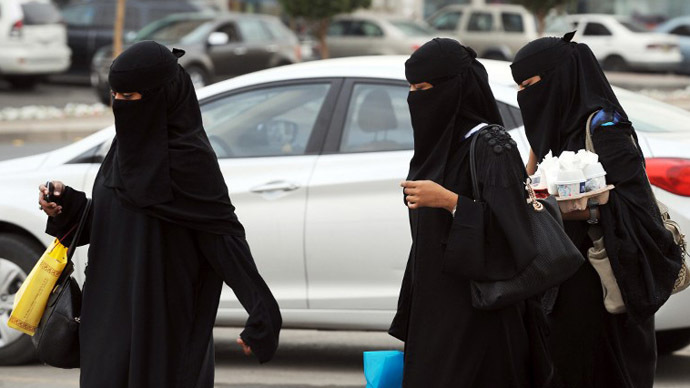 A Saudi court sentenced two women to ten months in prison, along with a two-year travel ban, after they tried to help a Canadian woman who, with her three children, was denied adequate food and water and was subjected to violence by her Saudi husband. On June 6 2011, the two human rights workers Wajeha al-Huwaider and Fawzia al-Oyouni received a text message from Nathalie Morin, the Canadian woman, saying that her husband had locked the whole family in the house and left for a week-long visit to see relatives in another town while her supplies of food and water were running out, according to Human Rights Watch. “I cannot help myself and I have no rights in Saudi Arabia. My children are hungry and I cannot do anything to feed them. I’m fighting to get freedom, justice and fairness for my family including myself,” Morin wrote on her blog. The two bought food and came to Morin’s house, where police were already waiting for them. The women were brought to Damman station for questioning, where police told al-Huwaider and al-Oyouni they believed they were trying to smuggle Morin and her three children to Canada, Human Rights Center reports. After the women signed a statement pledging to cease all involvement with the case, the police released them. However, more than a year later in July 2012, authorities called in al-Huwaider and al-Oyouni for questioning, after which the government launched a case against them. The trial continued for another year, and last Saturday presiding judge Fahad al-Gda’a issued a ruling sentencing the two human rights workers to ten months in prison, imposing an additional two-year travel ban on top of the jail time. The charges were “inciting a woman to flee with her children” and “attempting to turn a woman against her husband.” The women were acquitted of charges that they had attempted to smuggle the wife and her three children to the Canadian Embassy in Riyadh. Al-Huwaider and al-Oyouni plan to challenge the ruling in the Court of Appeals. The same day the two women issued a statement that when the case was launched, they predicted that the government was trying to punish them for their women’s rights activism in recent years. A Saudi court convicted two Saudi women’s rights activists on June 15, 2013, for trying to help a woman flee the country. Wajeha al-Huwaider and Fawzia al-Oyouni were each sentenced to 10 months in prison and two-year travel bans. Police released al-Huwaider and al-Oyouni after midnight on June 7, after they signed a statement pledging to cease all involvement with the case and to allow the government-affiliated National Human Rights Commission and Canadian Embassy to investigate. The Damman branch of the National Commission on Human Rights declined to intervene, stating that there was insufficient evidence to conclude that al-Shahrani was mistreating Morin and their children. Canadian government officials have maintained since 2009 that this case is a private matter that must be resolved by Saudi authorities. King Abdullah and Crown Prince Sultan with Saudi women in the southwestern city of Najran. The Saudi authorities should immediately release al-Qatani and al-Hamid, drop the charges against them, and end political trials before the Specialized Criminal Court. (Beirut) – The harsh sentences against leading Saudi rights advocates and an order to shutter a civil and political rights group are major setbacks for rights in Saudi Arabia. Saudi authorities should release and drop charges against the two leading human rights activists sentenced to long prison terms after a Specialized Criminal Court convicted them on politically-motivated charges on Saturday. The activists, Mohammed al-Qahtani and Abdulla al-Hamid, are co-founders of the Saudi Civil and Political Rights Association (ACPRA), a rights organization that has called for greater civil rights in the kingdom. They faced charges including “destabilizing security by calling for protests,” “spreading false information to outside sources,” “undermining national unity,” and “setting up an illegal human rights organization.” The two activists have been sentenced solely for their peaceful advocacy of reform and criticism of human rights violations. The Specialized Criminal Court began trying the two activists in June 2012. At first, their trials were separate and they were conducted behind closed doors, like most other trials before the Specialized Criminal Court. The judge, however, decided to merge the two cases after their first sessions. The trial continued on camera until the fifth and last session, when the judge finally opened the proceedings and allowed the presence of media, lawyers, and rights activists, who attended in the presence of members of the security forces. 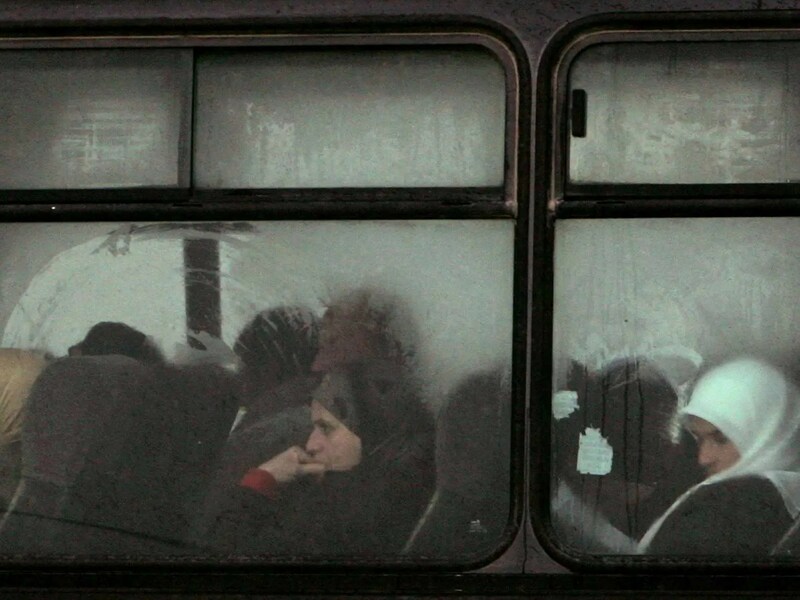 Israel’s Transportation Ministry has set up a number of bus lines for Palestinian passengers traveling between the West Bank and central Israel, YNet News reports.While the ministry claims that the buses are for all passengers, it appears that only Palestinian villages have been told of their existence, sparking serious claims of segregation. According to Ha’aretz, any Palestinian who holds an entrance permit to the State of Israel is legally allowed to use public transportation. However, the newspaper has previously reported on a number of incidents in which Arab passengers have been forced off of buses. YNet News also spoke to several bus drivers, who claimed that under the new rules, due to start Monday, Palestinian passengers will be asked to leave the buses on mixed lines used by Jewish settlers.